Amid rising tensions generated by the US-backed coup in Venezuela, the head of the US Southern Command, responsible for the Pentagon’s operations in Latin America and the Caribbean, told a Senate panel Thursday that the US military is prepared to intervene in defense of Washington’s embassy in Caracas. 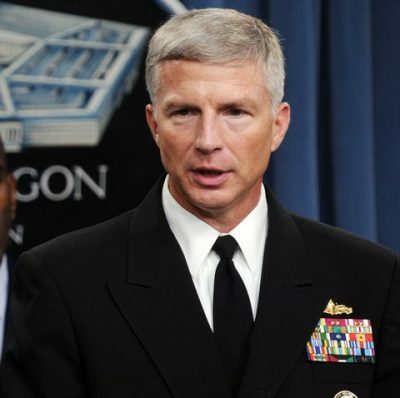 SOUTHCOM commander Admiral Craig Faller, who appeared before the Senate Armed Services Committee alongside his AFRICOM counterpart, Marine Gen. Thomas Waldhauser, made clear the active involvement of the US military in the ongoing regime-change operation in Venezuela, launched on January 23 with the US-coordinated self-swearing-in by a previously virtually unknown extreme right-wing legislator, Juan Guaidó as “interim president.” Washington immediately recognized him as Venezuela’s head of state, while declaring the government of President Nicolas Maduro illegitimate. A number of right-wing Latin American governments, major European powers and Canada followed suit. In a more candid moment during questioning by the panel, the admiral stated, “It’s hard to beat something with nothing,” acknowledging that China’s investment in the region had far eclipsed that of the US. The admiral’s testimony, which included an appeal for greater funding and more forces for US military operations in the hemisphere, made clear that Washington views Latin America as a battlefield in a coming global war, and is determined to assert its hegemony over the region by means of regime-change operations and outright military invasions. Venezuela is the prime target for this campaign for good reason. It sits atop the largest proven oil reserves on the face of the earth, and US imperialism is determined to wrest control of these vast resources for the US energy conglomerates and to deny them to Russia and China, which both have extended loans to and made major investments in Venezuela’s state-owned oil company, PDVSA. Guaidó earlier this week issued his “Country Plan” for Venezuela, making clear that he would throw open Venezuela’s oil industry, nationalized more than four decades ago, to control by US Big Oil. Admiral Faller announced that he is going to Brazil on Sunday for meetings with the military brass of the newly installed government of the fascistic ex-army captain, Jair Bolsonaro, which is collaborating closely with Washington on the coup in Venezuela. Brazil is supposed to serve as one of the entry points for “humanitarian aid” being organized by Washington in a bid to provoke a confrontation on Venezuela’s borders and spark a revolt in the country’s military. The US embassy in Bogota announced on Thursday that the first trucks carrying aid supplies had arrived at the Colombian border city of Cúcuta. Washington and Venezuela’s right-wing opposition under the leadership of Guaidó is demanding that the Venezuelan government throw open its borders to a “humanitarian corridor” to be operated jointly by the US and Guaidó’s phantom parallel government. The US pose of concern for the suffering of the Venezuelan working class and poor as a result of the country’s protracted economic crisis and the policies of the Maduro government, which has defended the interests of foreign and domestic finance capital at the expense of the masses, is utterly cynical. The small amount of aid that it proposes to deliver will do nothing to reverse the country’s crisis, which has been drastically deepened by the financial embargo imposed by Washington in 2017, followed by what amounts to a blockade of Venezuelan oil exports imposed in conjunction with the ongoing coup attempt. The arrival of a handful of trucks in Cúcuta has been given extensive coverage by the US and Western corporate media, eager to provide propaganda for the regime-change operation by portraying a heartless Maduro refusing to open Venezuela’s borders to the beneficent machinations of US imperialism. Trump earlier this week reiterated that direct US military intervention remains “on the table” to impose US “humanitarian” efforts upon the country by force. On the same day, Elliot Abrams, the veteran war criminal who served as the principal US advocate for the dictatorships in El Salvador and Guatemala as they carried out near-genocidal wars against their own people and was subsequently convicted in connection with the illegal operation to finance the CIA-organized “contra” terrorist army unleashed upon Nicaragua, gave a press conference at the State Department demanding that Maduro leave Venezuela and rejecting any dialogue or negotiations over the crisis orchestrated by Washington. A reporter who attempted to question Abrams about his bloody past was repeatedly silenced by the State Department spokesman. Abrams’s rejection of any negotiations was echoed by Guaidó, who pushed through a measure in Venezuela’s National Assembly rejecting any dialogue that would “prolong the suffering of the people” and told the Uruguayan newspaper El Pais that he would not participate in any talks with Maduro. In the same interview, Guaidó insisted that a foreign military intervention to force “humanitarian aid” across Venezuela’s border would be perfectly legal. The statements by Abrams and Guaidó came as a group of Latin American and European governments convened the opening in Montevideo of a “Contact Group” with the purpose of promoting a peaceful resolution of the Venezuelan crisis without it spilling over into civil war or foreign military intervention. The principal organizers of the conference were the governments of Uruguay and Mexico, with the participation of Ecuador, Bolivia and Costa Rica, along with the European Union (EU) and the governments of Spain, Italy, Portugal, Sweden, France, the UK, Germany and the Netherlands. Federica Mogherini, the EU foreign relations representative, made it clear that the European powers remain behind the drive for regime change, insisting that any dialogue produce new and swift elections to replace the government of Maduro. Uruguay’s president, Tabaré Vázquez, opened the conference by stating that its purpose was to “facilitate” a peaceful resolution of the Venezuelan crisis “without intervention” from abroad. Washington’s rejection of any such mediation, and the European imperialists’ own support for regime change as a means of competing in the scramble for Venezuela’s oil, make such appeals to “prudence” entirely empty and futile. If a war for Venezuelan oil, with the potential of spilling over into a regional and even global conflict, is to be prevented, it will be only by means of the intervention of the working class in Latin America and internationally.